The spiritual jazz tradition, as exemplified by John Coltrane, Alice Coltrane and Pharoah Sanders, has been having a resurgence over the past few years in places like Los Angeles and Great Britain. Now here is evidence that some musicians in New Orleans are going down that path as well. 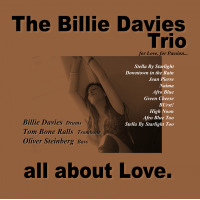 Billie Davies is a drummer from Belgium who now lives and works in the Big Easy and this recording, available only in download form, captures a live performance of her trio, plus added guests, creating over an hour of heady, uplifting music. Most tracks build slowly. "Nature" starts with lonely flute trills by Ari Kohn and sparse electric piano notes from Evan Oberla that slowly coalesce into a wavy tropical rhythm. Craggy, harp-like piano and the soothing voices of Allie Porter and Iris P weave in and out of each other while Davies and bassist Oliver Watkinson maintain a light, rolling undercurrent that keeps the music buoyant. "Life" continues in the same manner with the vocalists talking and singing aphorisms like "Don't be afraid to be be who you are" and "Have no fear to live passionately" as Davies and the band cruise through mesmerizing grooves. "Happiness" changes the overall sound as Kohn switches to baritone sax and Oberla moves to trombone. Both start by moaning long notes over the bass and drums but eventually the four players become a crisp, punchy ensemble that works its way into a lurching Caribbean groove. The tracks "Love" and "Freedom" bring synthesizers into play. The first is a shorter breeze of springy synthesizer sounds embellished by flute and the rhythm section while the vocalists gently sing about love while on "Freedom" buzzy synth sounds are tossed around with baritone, drums and bass in a turbulent, rock-flavored stew. 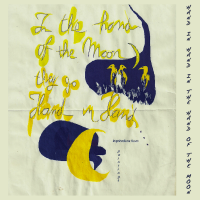 These two tracks, in particular, resemble some of Sun Ra's more scaled down recordings where Pat Patrick's baritone sax and June Tyson's voice dueled with Ra's keyboard eruptions. "Art" starts out with a free improv trio of flute, synthesizer and drums. Then electric piano and bass come in to build melody, Porter and Iris P dialog about art and the music morphs into a spell of swinging cool jazz led by flute and trombone as the women spin out poetry like they were in a Beat-era coffeehouse. Finally "Rhythm" is just what it says, a careening synth and baritone avalanche that quickly turns into a rolling, up-tempo jam that nods in the directions of hip hop and dub. 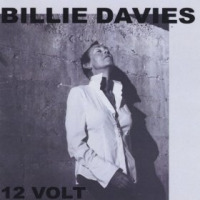 Oberla swoops and burns on the electric keyboards, Watkinson walks furiously and Davies leads from the back, constantly switching the tempo and feel with little seeming effort. This music never stays in one place for long, progressing naturally through straight jazz, jazz-rock, free jazz and other sub-genres, with the voices of Allie and Iris P dramatically shouting or sensually cooing as the mood dictates. This is a loose, free-flowing concoction not quite like anything else out there. 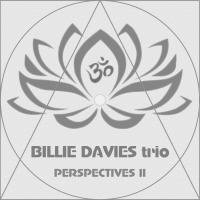 Like the best forward-thinking music, Billie Davies' work reminds you of many different things but in the end, it is its own original beast, as powerful as anything more well-known musicians have created this year. Track Listing: Nature; Life; Happiness; Love; Freedom; Art; Rhythm. 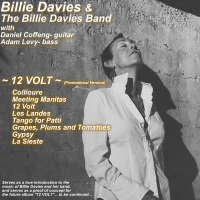 Personnel: Billie Davies: drums; Evan Oberla: piano, keyboards, trombone; Oliver Watkinson: bass; Ari Kohn: woodwinds; Iris P, Alie Porter: vocals.